I have been a regular visitor to the Gate's personal blog for a couple of weeks and I am always amazed by his Reading list, trips and continuous philantrophic feats around the world. I am compelled to share his review of his favourite business book,a book with a captivating title. I also share a link to downloading a free chapter of the book. As a matter of fact Gates created an instant it for this book after he revealed to the world it's hi favourite! Not long after I first met Warren Buffett back in 1991, I asked him to recommend his favorite book about business. He didn’t miss a beat: “It’s Business Adventures, by John Brooks,” he said. “I’ll send you my copy.” I was intrigued: I had never heard of Business Adventures or John Brooks. A skeptic might wonder how this out-of-print collection of New Yorker articles from the 1960s could have anything to say about business today. After all, in 1966, when Brooks profiled Xerox, the company’s top-of-the-line copier weighed 650 pounds, cost $27,500, required a full-time operator, and came with a fire extinguisher because of its tendency to overheat. A lot has changed since then. It’s certainly true that many of the particulars of business have changed. But the fundamentals have not. Brooks’s deeper insights about business are just as relevant today as they were back then. 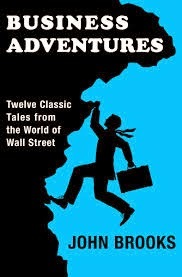 In terms of its longevity, Business Adventures stands alongside Benjamin Graham’s The Intelligent Investor, the 1949 book that Warren says is the best book on investing that he has ever read. Brooks grew up in New Jersey during the Depression, attended Princeton University (where he roomed with future Secretary of State George Shultz), and, after serving in World War II, turned to journalism with dreams of becoming a novelist. In addition to his magazine work, he published a handful of books, only some of which are still in print. He died in 1993. As the journalist Michael Lewis wrote in his foreword to Brooks’s book The Go-Go Years, even when Brooks got things wrong, “at least he got them wrong in an interesting way.” Unlike a lot of today’s business writers, Brooks didn’t boil his work down into pat how-to lessons or simplistic explanations for success. (How many times have you read that some company is taking off because they give their employees free lunch?) You won’t find any listicles in his work. Brooks wrote long articles that frame an issue, explore it in depth, introduce a few compelling characters, and show how things went for them. One of Brooks’s most instructive stories is “Xerox Xerox Xerox Xerox.” (The headline alone belongs in the Journalism Hall of Fame.) The example of Xerox is one that everyone in the tech industry should study. Starting in the early ’70s, the company funded a huge amount of R&D that wasn’t directly related to copiers, including research that led to Ethernet networks and the first graphical user interface (the look you know today as Windows or OS X). But because Xerox executives didn’t think these ideas fit their core business, they chose not to turn them into marketable products. Others stepped in and went to market with products based on the research that Xerox had done. Both Apple and Microsoft, for example, drew on Xerox’s work on graphical user interfaces. I know I’m not alone in seeing this decision as a mistake on Xerox’s part. I was certainly determined to avoid it at Microsoft. I pushed hard to make sure that we kept thinking big about the opportunities created by our research in areas like computer vision and speech recognition. Many other journalists have written about Xerox, but Brooks’s article tells an important part of the company’s early story. He shows how it was built on original, outside-the-box thinking, which makes it all the more surprising that as Xerox matured, it would miss out on unconventional ideas developed by its own researchers. Brooks’s work is a great reminder that the rules for running a strong business and creating value haven’t changed. For one thing, there’s an essential human factor in every business endeavor. It doesn’t matter if you have a perfect product, production plan, and marketing pitch; you’ll still need the right people to lead and implement those plans. That is a lesson you learn quickly in business, and I’ve been reminded of it at every step of my career, first at Microsoft and now at the foundation. Which people are you going to back? Do their roles fit their abilities? Do they have both the IQ and EQ to succeed? Warren is famous for this approach at Berkshire Hathaway, where he buys great businesses run by wonderful managers and then gets out of the way. Business Adventures is as much about the strengths and weaknesses of leaders in challenging circumstances as it is about the particulars of one business or another. In that sense, it is still relevant not despite its age but because of it. John Brooks’s work is really about human nature, which is why it has stood the test of time.